How Much Does It Cost To Take Care Of A Chinchilla? Why Do Chinchillas Need So Much Space? 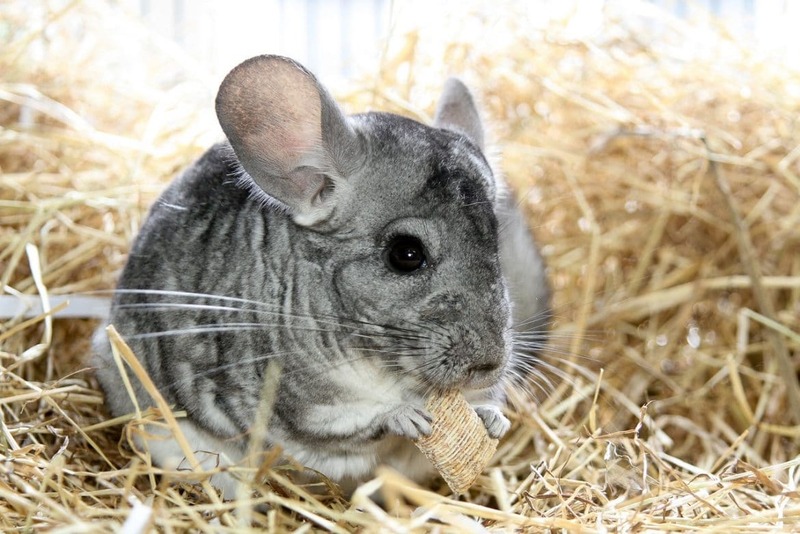 What Wood Toys Are Safe For Chinchillas To Chew On? What Types of Chinchillas Are There? Home For Chinchillas How Much Does It Cost To Take Care Of A Chinchilla? If you decided to adopt or buy a chinchilla pet, you need to know that these animals are quite demanding and sensitive. 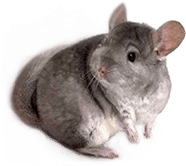 They will require your full attention and a nice chinchilla play area where they can relax and stimulate their brains, not to mention high-quality food, toys, and other accessories just to name a few. Although we assure you they are worth the while, let’s take a closer look at the actual costs of buying and looking after a chinchilla so you know exactly what you’re getting yourself into. These furry creatures are protected by the laws, so it is forbidden to hunt them in their natural habitat in South America or buying them from anywhere else except professional breeders. And, even though they aren’t rare pets, you’ll most likely have to pay to get yourself one. Depending on the chinchilla breed you’re looking for, expect to pay anywhere between $150 and $350 for a pup. Adult chinchillas don’t make good pets because they are more sensitive and harder to train. However, if you have the chance, we always recommend adopting instead of buying. Unfortunately, there are many people who don’t take into account the amount of time, the patience, and the resources they’ll have to spare for looking after a chinchilla pet, and this is why they abandon them after only a few months. These rodents are extremely sensitive and can rarely survive on their own, especially if they were born in captivity. 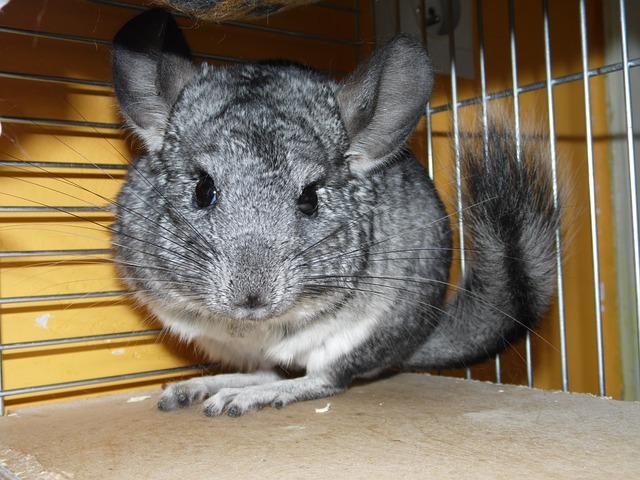 Thus, before buying one from a reputed breeder, make sure to check the local animal shelters and see if there any chinchillas in need of rescue and a welcoming new home. These rodents require a lot of space to exercise and stretch, so you’ll have to find a cage that caters to their needs. Depending on the size and the number of floors available, a sturdy cage for your pet can cost up to $200 without accessories or climbing wood shelves. The good news is that once you’ve purchased a reliable metallic cage, you won’t have to replace it often, meaning that you’re looking at a long-term investment. As we previously mentioned, chinchillas are quite sensitive and don’t deal with stress very well. Therefore, no matter if you’re planning a trip to the vet or one outside the city, you always have to be prepared to safely transport your pet with the help of a carrier. Luckily, these products don’t cost a fortune either, so you’ll be able to find a decent one for up to $30. 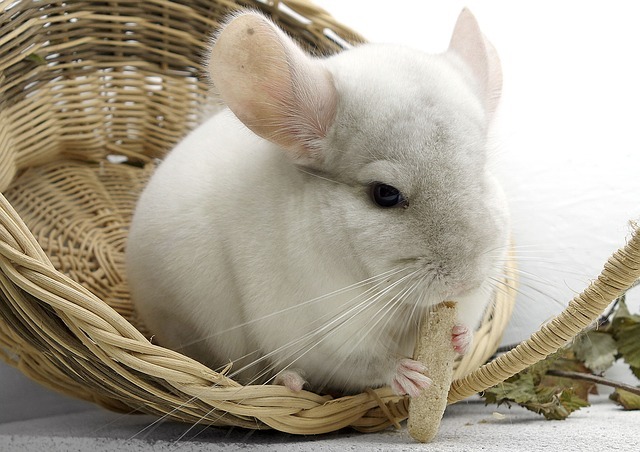 Chinchillas have very thick fur which cannot be cleaned with regular water baths. These pets use a special substance called “dust bath” to clean their coats and get rid of extra oils. In captivity, you’ll have to provide this solution for your pet which costs around $10. Depending on your pet’s preferences, the bathing process can be repeated every month or so, meaning you’ll have to invest in this habit from now on. Chinchillas love being cuddled and pampered by their owners but, whenever this is not possible, they’ll need something to keep their minds occupied. Therefore, it is up to you how many toys you’ll purchase for your pet and how often you’re going to change them. If you opt for a special playground for your chinchilla that is larger than a regular cage, you’ll obviously have plenty of room for toys. Think about beds and hammocks that usually cost $15-$25, as well as chewing toys, granite stone, wood logs, and various huts. Such an investment can easily reach $300 or even more, depending on how many toys you are willing to buy. Again, except chewing toys, you won’t have to replace most of them too often, meaning the initial investment will last you a couple of years. Just like all other rodents, chins tend to overeat, especially when they are stressed or bored, which leads to certain health problems, including excess weight and obesity. To make sure your pet lives a long and healthy life, you’ll have to teach it to exercise more. Running wheels and exercising toys are not only fun to use by your chin, but also beneficial to their health and immune system. A good running wheel that matches the size of your chinchilla can cost $50 or even more, depending on the quality of the materials used. We suggest opting for one made of sturdy and transparent plastic that won’t break, chip or open easily. If you own more than one pet, make sure each individual has its own exercising wheel. When it comes to food, chinchillas have very strict diets, so you should consider spending more on premium-quality products to prevent future health problems. Check out with a vet before introducing new ingredients to your pet’s diet and always monitor even the slightest changes in behavior or look. This will prevent spending additional money on vet visits and will also keep your chinchilla’s tummy full. Expect to pay around $100 for the food of your chin initially, and another $100-$150 per year for future food supplies. Don’t forget to also consider treats which should be served every time your pet does something right, learns a new trick or is anxious about something. Organic treats that are low on sugars and carbs will cost you up to $40 per year. Chinchillas usually live around 10-12 years in captivity, but can also reach ages up to 20-30 years. Therefore, you should be able to commit to them in the long term and look after their health once they reach a certain age. Apart from annual vaccines and regular checkups, your chin may also need to be treated for various affections that won’t come cheap. Medication and supplements will cost you around $50 per year, while for a routine visit to the vet you’ll pay up to $100 per year. Additional medical needs can raise the total costs with another $50 per year.